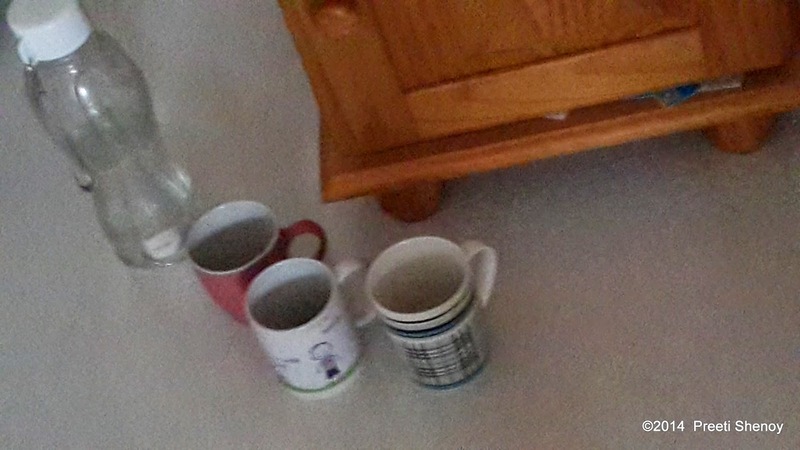 If you see this next to my bed by 3.30 pm, you can be sure that it was a day well spent and that I would have left the bed only to make that cup of black coffee, and returned back to my writing. I usually work from 9.00 am to 3.30 pm. I stop when the children come back from school. There were three cups today. And come to think of it, I have worked a great deal today on the editing of my new book. There is a small chance that it might be out this December! I am really pleased with this very unusual novel that i have written. I am certain that you will like it too. But that is all I can disclose at the moment! I alsolearnt a new word today. Cat's paw. Is having a Cat's paw in your life a good thing or a bad? I think it is terrible. I would hate to think that someone was a Cat's Paw in my life. It would be a disrespect not only to me, but also to the person in question. So what is the connection between Cat's paw and my new book? In my new book, there is a situation,where the protagonist feels like a Cat's paw. Whether she was justified or not--I can't tell! To feel used is a horrible feeling. And if you constantly feel used by people, it is time to rethink about that relationship. 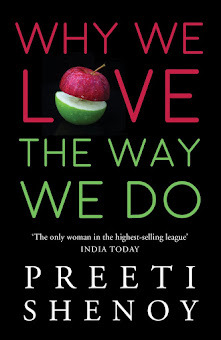 Hey Preeti. Nice article. Your posts are rejuvenating. Thanks for writing something new everytime. It makes me fresh after reading ur blog as they are too good and inspiring .Lots of best wishes for the new novel. I just cant wait to grab a copy here in Bristol. unfortunately there many cat 's paws in our lives. evn I think it's unhealthy to have one around you! 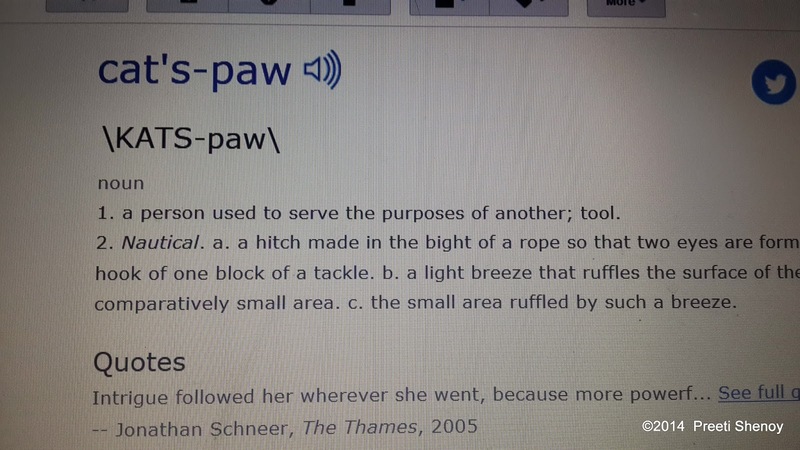 Though I have heard of the word Cat's Paw, I never really understood the meaning. Thanks for always posting about something new so that we the readers will learn new things as well. 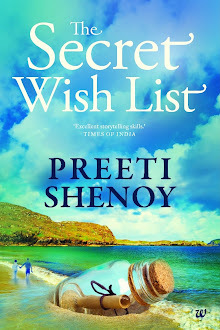 Eagerly waiting to read your new book!